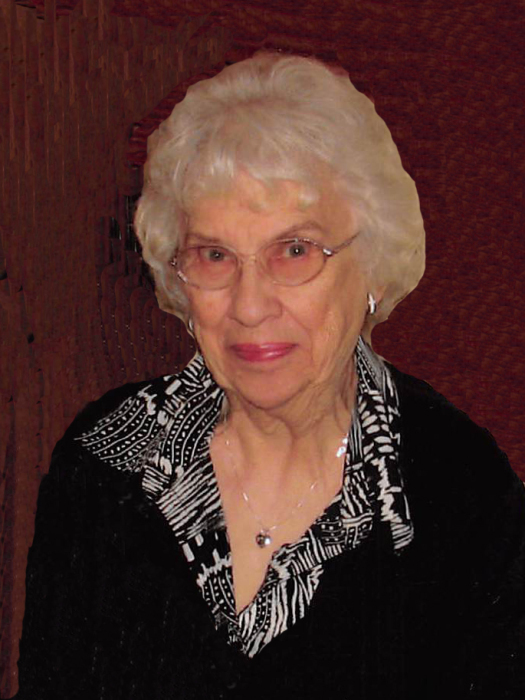 Irene Spaulding, age 93 of Elbow Lake, passed away Thursday, March 28, 2019 at the Barrett Care Center. Irene Iola was born May 24, 1925, to William and Sarah (Doege) Bohl in Buffalo Center, Iowa. She was baptized and confirmed in the Lutheran Faith. She graduated from Rake, Iowa High School in 1943, and was employed as a manager of a drug store in Bricelyn, MN and as a cashier/bookkeeper for two movie theaters in Redwood Falls, MN. She was united in marriage to Avery Lesto in 1945. To this union three children were born: Joanne, Betty Ann and Gary. Avery passed away in 1956. In 1958, Irene was united in marriage to Allan Spaulding of Elbow Lake. To this union two children were born: Mary Ellen and Steven. Allan passed away in July of 2010. Irene was a member of United Lutheran Church where she was a release time and Sunday School teacher. She was also a Girl Scout leader and participated and enjoyed the church circles, Bible study and the Dorcas Society. She was also a member of the V.F.W. Auxiliary. Preceding Irene in death are her parents; both husbands; daughter, Betty Schoen; 2 sisters, Ruby Luchow and Marie Anderson; 1 brother, Wade Bohl, and granddaughter-in-law, Jody Schoen. She is survived by her children, Joanne (John) Odegaard of Ramsey, Gary Lesto of Blaine, Mary Ellen (Rick) Johnson of Apple Valley, and Steven (Dawn) Spaulding of Elbow Lake; son-in-law, Charles Schoen; 10 grandchildren, Jill Odegaard, Jana Odegaard, Jonathan Schoen, Kirby (Jodi) Lesto, Mindy Lesto, Tawney (Josh) Jameson, Christopher Johnson, Melissa (Aaron) Groshong, Benjamin Spaulding and Hannah Spaulding; 12 great-grandchildren, Adam, Cordelia, Dylan, Kiana, Brooke, Tyler, Alexa, Sascha, Lola, Eli, Milo and Analise.